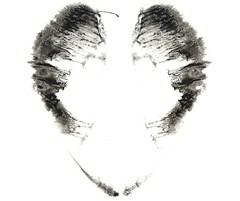 diptych | Flickr - Photo Sharing! An unusual format for you but this works so well! I really like this one and I am thoroughly enjoying making diptychs! I think I've always been fascinated by symmetry, and especially near-symmetry. Though I don't think it is a higher level aesthetic, I think the human eyes/brain responds to symmetry in interesting ways. I am sensitive to change and rather observant to odd details. 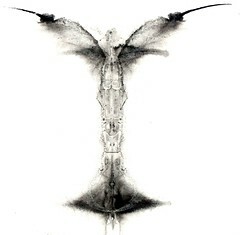 Rorschach blots fascinated me when I was younger. I'd spend hours looking through various books containing them. 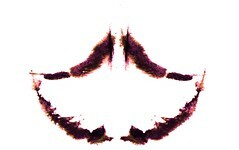 The first time I saw the video to Gnarls Barkley's "Crazy" I was entranced by the evolving ink blots.